Just as every year, the school year is approaching way too fast! As we struggle to hold on to the last days of summer and spending time outside with the family, it is easy to lose track of all the things that need to be accomplished in order to get ready to go back to school. That is why we collected the most helpful tips to get your kiddos ready to go back to school on a budget! 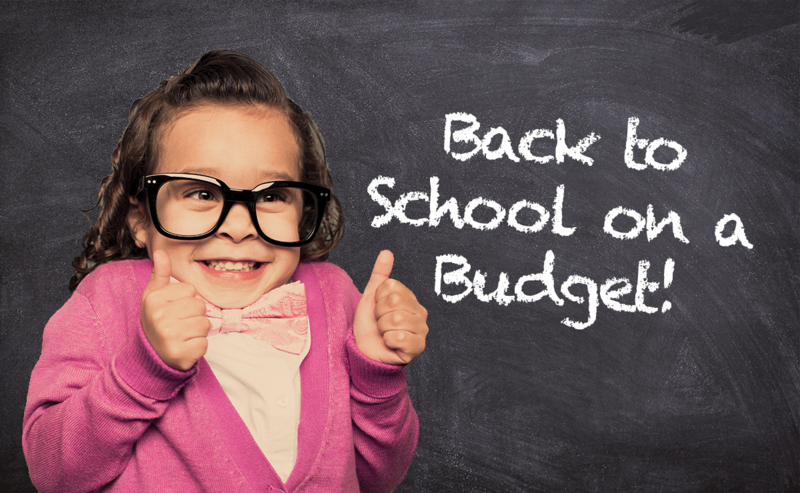 If you believe back to school shopping requires overspending, you’re about to get schooled! These simple shopping hacks will help you keep more of your hard-earned money in your pocket! Host a Back-to-School Swap – Round up parents with children of different ages. Host a gathering where everyone brings and trades clothes that their kids have out grown. These parents will be looking for back to school clothes for their kids, just like you. For a minimal cost of snacks and beverages, you knocked out your back to school shopping while enjoying time with friends! Save with Online Shopping – Save yourself time looking for the best online savings with Honey. 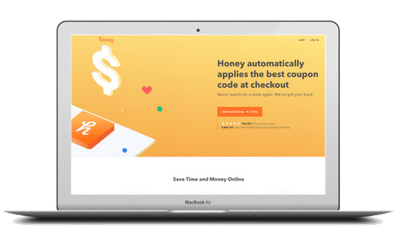 Honey is an extension for your browser that will apply the best coupon code at checkout. Simply download and install Honey, shop online like you normally would and Honey will find working coupons and the best deals online that will automatically be applied to your cart at checkout. Buy Discounted Gift Cards to Save In-store – Before you head out the door to go back to school shopping, check Raise and Gift Card Granny for discounted gift cards at your favorite retailers. With these apps, you can buy gift cards at a discounted price. Then just use these gift cards to make your in store purchases. We know how important your family is to you. But you want to keep their bellies full without losing your wallet. So, here are a couple tips to help nourish your kid’s appetite, and your wallet! 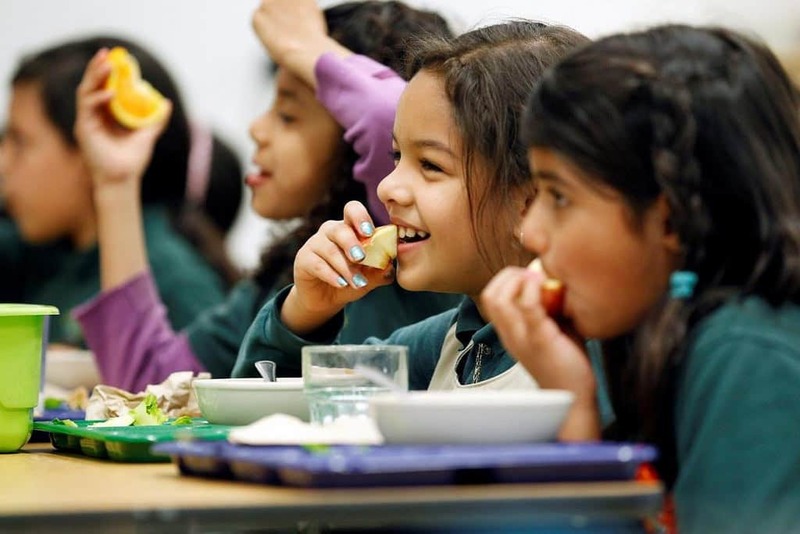 Free and Discounted Lunches – School districts will often offer students who qualify, free or price-reduced meals at school. Contact the school’s office to inquire if these supplemental meals are available to your child. If available, filling out paperwork at the school office is generally the only requirement to apply. This option can save you time prepping lunches and money on grocery shopping. Brown Bag It – If you are not satisfied with the lunch choices in the lunchroom for your child, having them bring their lunch from home can be a more nutritional alternative. Here is how to save time and money on your kid’s brown bag lunches. Shop on Sundays – Grocery stores release their circulars with coupons on Sunday, providing you the best opportunity to find money saving deals. Apps such as Target’s Cartwheel are another helpful tool to maximize your savings. Prepare Lunches Sunday Evening – Preparing the lunches for the upcoming week on Sunday will save you and your family stress as your trying to run out the door every morning. Those 5 to 10 minutes you get back every morning can make a big difference! Get Your Children Involved – Have your kids help pick out their lunches while grocery shopping and have them help pack their lunches. Children tend to respond better at school when their schedule is built around routine and responsibility. This is also a great way to get quality family time together and catch up on the important events at school. When the school year starts, getting back in to the swing of things and finding a routine can take time. Extra planning such as preparing lunches on Sunday as suggested above will help you get organized and ease the transition. But here are two of our favorite tips that help our families stay organized when the school bell rings. Keep a Checklist By the Door – When your son or daughter calls from school asking you to pick up the homework they forget, leaving work is not always a reality. Before the school year starts, sit down with your kids and make a checklist of everything they need before they walk out the door each day. A small chalk board or whiteboard is a great option so it can be updated each night before if necessary. Hang this checklist by the door and have your children check the list off every morning before they leave. This tip will save everyone stress and frustration. Create a New Email Address – Create a new email address that you guard at all costs! Give this email address to only the school, teachers and after school organizers. Use a gmail account and create a calendar at the same time that you can sync with this new email address. Separating these emails from your other accounts will help you organize and prioritize communication important to your child. No longer will it get lost in work and personal emails. Use each of these tips together for a big win by saving time and money! We hope you enjoyed these tips, as well as the extra time and money you get back from using them!